In our first interview with Mad Fellows, we talked about their game, Aaero (which we rated highly) and the platforms it was on. 2 days ago we learned that they will soon release New DLC for their hit-indie game and we wanted to do a follow-up interview. You can also read our second interview with Paul* where he gives some insights on how the Games With Gold and Playstation Plus games get selected, the impact this has on game pricing and even how this could have led to lootboxes becoming a thing. Today we speak about their own game’s upcoming DLC and what steps they have to follow to get their game 4K enhanced on Xbox one X and Playstation 4 Pro. *Paul worked on high profile, AAA games for around 15 years before leaving to found Mad Fellows with long-time colleague, friend and programmer Dan Horbury. Taking an unusual career path from being a tattooist and musician, Paul got his first video games job at Codemasters as an artist on Race the Driver and DiRT series. He later moved to FreeStyleGames (Activision/Blizzard) where he was part of the team that created, among other things, the DJ Hero games. From there he worked alongside Neversoft, heading up the team creating the download content for the Guitar Hero III, IV and 5 before making the jump to being an indie developer in 2013. Did you get the Xbox One X already? In our last interview you spoke about the price possibly being an issue. Hi there! It’s good to talk to you again. I had a lot of responses to the last interview. One of the things that shocked me the most was that some people assumed I was making it up when I said I’d have to save up for the Xbox One X! I saw a comment saying that “it wasn’t like I was earning the same money as normal people”. I’m not sure what the general impression is of life as an indie developer and I didn’t really know if I should be flattered or offended. It’s all good though. I did get one on launch day. I’d pre-ordered but wasn’t sure I’d still be getting it because it’s hard to justify buying a new console right at the time when you’re supposed to be buying presents for your kids… But then, like a Christmas miracle, I noticed that my local GAME store had an action with 12 months interest free credit. Ah, glad to hear you managed to get one. What do you think about it? Are you happy with your purchase? It’s strange getting an upgrade halfway through a console’s lifespan. With the PS4 Pro and the Xbox One X, my fear is that if they sell well it’ll open the flood gates for all sorts of upgrades. This time round I think its driving force was 4k & VR meaning that, to stay up to date, the consoles needed a boost. I just hope that it doesn’t mean that the next systems are pre-planned to be periodically updated. My favourite thing about consoles as a gamer is that they’re simple to plug in and play and everyone has the same experience. As a developer, my favourite thing is that they’re a fixed platform which means you can develop specifically to get the best out of the hardware. I don’t want that to change. You said that you plan to get Aaero updated as well for 4K/HDR, are you currently working on this and when do you plan to have it ready? Yeah, Aaero already supports native 4k on PC so it’s all there. With our move to self-publishing*, we need to re-release the core game under our own label. We’re also adding the DLC content which is coming to all platforms**. Once that’s all done we’ll get back to working on the 4k/HDR console updates. Because there are only 2 of us (and only one of us can write code) we can only do one thing at a time. It’s tough to prioritise one thing over another but we’re getting there. 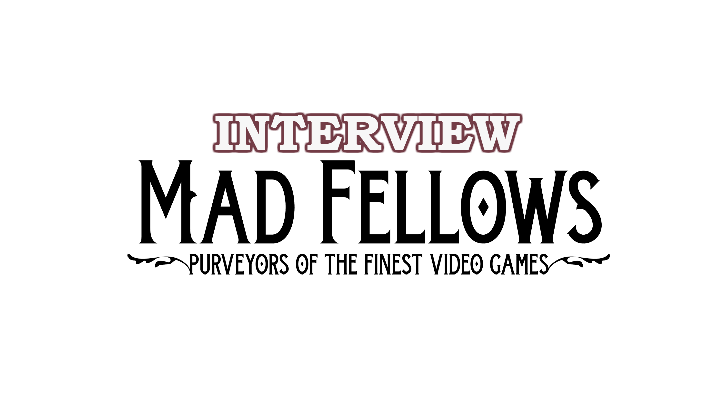 *Mad Fellows is transitioning to self-publishing on all platforms. This is something they’ve been determined to do for a while now and, despite being a logistical nightmare to implement, will give them the level of control they need to support Aaero and the community in the way they had originally envisioned. Aside from being temporarily absent from the PSN store, this transition shouldn’t affect players too much. 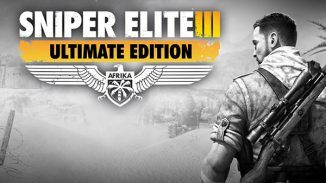 They plan to have all platforms re-released by January, this re-release will include numerous tweaks and improvements as well as some brand new DLC content. I’ve read the Xbox one X allows for Spatial Audio via Dolby Atmos, does Aaero support it and do you need to put out an update for this? *From Microsoft: Any traditional surround sound content is automatically upscaled with Windows Sonic or Dolby Atmos to provide an enhanced audio experience – making that content more immersive than before. 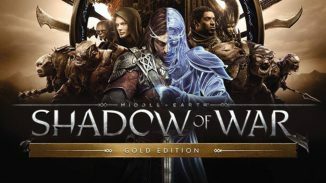 Games that natively support Windows Sonic and Dolby Atmos offer the highest level of audio immersion and location accuracy. What is the interaction with Microsoft and Sony like for such updates? Do you need to get their approval? Do they verify your content or can you just post the updates from your end? Everything has to be carefully checked and approved by Microsoft and Sony. It’s a long and thorough process but it’s the only way they can provide a platform for players to have a smooth and relatively bug-free experience. There’s a list of technical requirements the game and all DLC needs to meet as well as localised content, ratings, legal contracts and all manner of things that need to be considered. Each update and patch needs to be checked in case it breaks the game in other areas. Since we’ve been self-publishing and working directly with Sony, they’ve been a huge help with getting us through the process. With Steam and Xbox One, we had our own developer accounts set up and the game existed on them already. This meant changing publishers was something that could be handled without any downtime from the store. With PS4, it was a bit more complicated. Changing publishers on their platform means resubmitting and re-releasing the game as if it were a new title, then setting up a condition that means anyone that owned the previous version of Aaero would automatically have access to the new one, updates and DLC. The procedures and strict policies of the console platforms, while complicated, demonstrate their commitment to ensuring a safe, fair and enjoyable experience for their users. It’s hard to imagine all of the steps it takes to get a game released without actually going through it. As a gamer, it’s frustrating waiting for patches and updates. I know it’s easy to think ‘Just upload it already! It’s already fixed on the PC!’ because I do this myself all the time. Ultimately, it’s for the best though… that’s what I tell myself anyway. Do you plan to release more DLC for Aaero after this, or do you want to start looking ahead at new projects? We’ve got more content in the pipeline for Aaero. With bigger teams, some people would usually start splitting off to work on the next project while others support the current release. With me and Dan, we are at full capacity when working on DLC. We’re always thinking about the next project in our spare time though. It’s the way we like to do things because by the time we get to actively working on the new game, we’ll have already ironed out a lot of the design and technical issues in our heads. Thank you, Paul, for your time and sharing these insights with us! We’ll have a review up for the DLC of Aaero as soon as it releases.